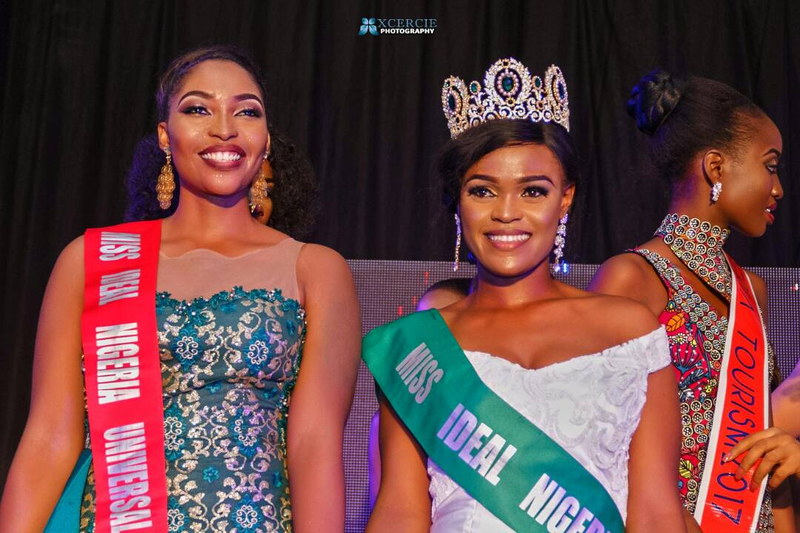 It was a hotly contested battle but in the end, Miss Lagos, Precious Adigwe emerged as the winner of the Miss Ideal Nigeria 2017 which is in its 4th edition. As Miss Ideal Nigeria, she will be spokesperson for the ‘Train a Nigerian Child’ and Mother and Child Protection Initiative and represent Nigeria at the Miss Global Beauty Queen in Korea. Queen Nkem , Miss Ideal Nigeria 2016 passed on her crown to the new Queen. Miss Enugu ‘s Merari Daniels emerged as Miss Darlo , a title equal to the title Miss Ideal Nigeria and will represent the sponsor’s of the show Darlo Organics all year round. Miss Abuja Nwachuckwu Oge Joy came second and will represent Nigeria at the Miss One World . third place was Miss Oyo’s Eniola Christable who will represent Nigeria at the Miss West Africa International in Accra 2018. Miss Ogun’s Oluwaseun Adekoya and Miss Abia’s Funmi Adejumo emerged top 6. Special awards were given to Miss Photogenic ( Miss Delta) , Top Model (Miss Adamawa) , Ambassador (Miss Anambra) , Miss Charismatic (Miss Gombe) , Miss Continental (Sokoto) , Miss Southern ( Miss Edo ) and Miss Northern ( Miss Katsina). The best evening gown went to Miss Abia and best cultural outfit went to Miss Akwa Ibom.